There are actually two different disability programs offered by the Social Security Administration – Social Security Disability, sometimes called SSD, and Supplemental Security Income, known as SSI. 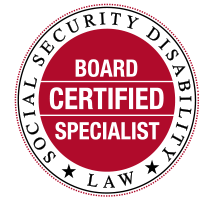 Social Security Disability is based on your work history, while SSI is a needs-based program for people who haven’t worked long enough or earned enough to qualify for Social Security Disability. SSI also covers children with disabilities. The Social Security Administration can tell you which program you qualify for, based on your earnings, and also what your benefits will be, once approved. You are eligible if you have been out of work or expect to be out of work for 12 months consecutively. The key here is you expect to be out of work for that long. You should not wait until a year has passed to apply. The process is LONG and usually from start to finish will take more then two years. During the period while you’re waiting for your claim to be approved, you will not receive benefits. You can get this information from the Social Security Administration. In person at your local Social Security office. Call 800-772-1213 to set up your appointment. We always encourage people to apply on their own, as you may be approved without needing assistance from an attorney. That doesn’t happen often, but it is worth trying. However, if you have questions or feel overwhelmed and would like help you’re your initial claim, we’re happy to help. The Social Security Administration advises that it takes at least 120 days for an initial application to be processed. Chances of having your initial application approved at this level are low. In North Carolina, only about 31 percent of people are approved for Social Security Disability at this level. An attorney can help you navigate the miles of red tape standing between you and Social Security disability payments. The process of filing your appeals is time consuming and it may be years before you begin receiving any payment for benefits. An attorney can help prepare your case to give you the best opportunity for success. Statistically, applicants who retain an attorney to represent them are much more likely to win benefits than those who do not. When choosing someone to represent you with a Social Security Disability claim, look for someone who is educated, experienced and licensed to handle these types of claims. It’s best to seek representation from a local attorney who is familiar with the local Social Security Administration bureaucracy and judges. Some firms hire people who aren’t attorneys to represent people in their Social Security Disability claims. Unlike non-attorney representatives, attorneys are licensed and they are bound by certain ethics rules. How long will it take to be approved for Social Security Disability? Applying for disability is a lengthy process, and there is a large backlog of cases. Generally, you can expect to wait as long as two years, or more, before your benefits are approved. You qualify for Social Security Disability benefits by earning Social Security credits when you work in a job and pay Social Security taxes. The credits are based on the amount of your earnings. The number of credits you to need to be eligible for payments depends on your age and the type of benefit. Generally, you must have 40 work credits and have earned 20 of them in the last ten years to qualify for Social Security Disability. Generally, if you’ve worked five of the last 10 years, you should have enough work credits to be covered. However, it can be more complicated than that. You can earn a maximum of four credits per year. (For 2017, each $1,300 in earnings equals one work credit. You must earn at least $5,200 to get the maximum four work credits for the year.) See the Social Security Administration’s website for more on how work credits are calculated. When you are out of work, you are not earning credits. Because of this, you should apply for disability as soon as you can to prevent jeopardizing your benefits. What happens if I’ve been denied Social Security Disability (SSD) benefits? If you are denied disability benefits, there are several appeal options. It is important to keep in mind that denials happen more often then not. In North Carolina, only about 31 percent of people are approved for Social Security Disability with their initial application. Initially the person who decides if you get disability benefits is NOT a judge. If you’ve been denied disability benefits, don’t be discouraged. The letter you received denying you benefits is a form letter. Thousands are mailed out each year. Most people who seek disability benefits eventually prevail, but it is a lengthy process. There is still hope. While an attorney can help with your Social Security Disability claim at any level, we recommend contacting an attorney after you’ve been denied benefits. Once you’ve been denied benefits, there is a 60-day deadline to file an appeal for reconsideration. If you fail to appeal within that time frame, you have to start the whole process over, further delaying your benefits. If your initial application for Social Security Disability benefits is denied, then you may file an appeal called a “request for reconsideration.” There is a 60-day deadline to do this. A different set of employees within the Social Security Administration will review your application at this point. But again, a judge will not be reviewing your claim at this stage. The Social Security Administration can can process these claims for as long as necessary. Typically decisions are rendered within three to six months of filing a request for reconsideration. Your chances of being approved for benefits at reconsideration are slim. In North Carolina, only about 13 percent of claimants are approved at this stage. If you are denied at reconsideration, you may file a second appeal and request a hearing. There is generally a 60-day deadline to make this second appeal. What happens if I am denied Social Security Disability benefits at reconsideration? It is likely that you will be denied benefits at reconsideration. In North Carolina, only about 13 percent of claimants are approved at this stage. After being denied at reconsideration, you may file a second appeal, which is called a “request for hearing.” At this stage, a judge may review your application. The waiting time for a hearing is lengthy – more than a year – but your chances of being approved for benefits at this stage improve considerably. In North Carolina, about 73 percent of cases decided at a hearing are approved. If you’re represented by the Deuterman Law Group, your attorney will meet with you a few weeks before your hearing to prepare you for what to expect. Not all law firms conduct pre-hearing conferences, but we believe it’s important to familiarize our clients with the hearing process and address any concerns and anxiety they may have. A Social Security Disability hearing is a very informal proceeding. It’s not held in a courtroom. Most likely, you’ll be in a meeting or conference room. Typically four people are present – you, your attorney, the judge and a court reporter. A medical or vocational expert also may be present. The judge will guide the questioning and will ask you about your daily life and functions. Therefore, you must be present at a hearing. Don’t expect to get a decision on the day of the hearing. It usually takes eight to 10 weeks to get a decision. Most often, these decisions are favorable. In North Carolina, about 73 percent of cases decided at a hearing are approved. Do I have to be present at a hearing for Social Security Disability benefits? Yes. 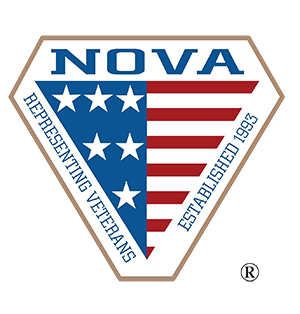 Applicants must be present at their hearing. The judge will ask you about your health and your daily life to determine whether you are disabled and eligible for benefits. Can I keep working while I’m apply for Social Security Disability benefits? The Social Security Administration does allow claimants to perform limited work while awaiting a disability decision. Earnings are limited to no more than $1,000 a month. Is it possible to receive disability benefits without going to a hearing? Yes. Fully favorable decisions may be granted at the initial level and at reconsideration. However, the overwhelming majority of claims are denied at both of these levels and do require attending a hearing before disability benefits are awarded. What factors does the Social Security Administration consider when determining disability benefits? Your past relevant work history. If I’m approved for Social Security Disability benefits, will my children receive anything? Possibly. If they are dependent upon you and under the age of 18, children also may be entitled to benefits. Can I work if I’m approved for disability benefits? You can do some limited work. Currently Social Security holds that if you earn less than a certain amount working every month, you are not engaged in substantial gainful activity. But bear in mind, the Social Security Administration can always review your file to determine whether you can perform substantial gainful activity. If the administration determines you can perform substantial gainful activity, you would no longer be eligible for benefits. I’m back to work, but was out for 12 months. Can I get benefits? Yes. You can get benefits for a “closed period” of disability. If you were out for 12 months or more consecutively, then you can still get Social Security Disability benefits for that time frame. If approved, you will only receive a one-time lump sum and not continuing ongoing monthly payments. Will I be compensated for the time I was out of work an waiting to be approved for Social Security Disability? Once approved for disability you are entitled to receive both ongoing monthly payments as well as back pay, payment for the time it took for your claim to be processed. Back pay payments begin on the date of your entitlement, 5 months from the date Social Security finds that your disability began. The Social Security Administration provides that a claimant becomes entitled to disability benefits after showing five months of consistent disability. You will not be paid for these five months. Any attorney’s fee will be deducted out of your back pay award, not ongoing Social Security Disability payments. The Social Security Administration has capped attorney’s fees at 25 percent of back pay, up to $6,000. I am currently drawing workers’ compensation benefits. Should I wait until that claim ends before I file for disability benefits? You should file for Social Security Disability benefits immediately, as long as you expect to be out of work for a period of at least 12 months. 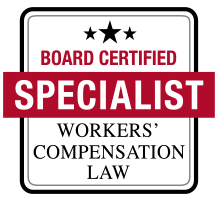 It is wise to consult with your workers’ compensation attorney to find out if you are eligible for additional benefits. If you are awarded disability benefits, there may be an offset based on your workers’ compensation benefits that may slightly reduce the Social Security benefits you will be awarded. If I am awarded disability benefits, how long will it be before I begin receiving my benefits or back pay? It depends on the particular circumstances of your case. If approved, you will receive an award letter from the Social Security Administration. Your monthly benefit payments generally begin six to eight weeks afterwards. Back pay benefits are generally paid after monthly benefits begin. However, you may receive back pay with your first monthly benefits check. Yes, unless you were approved only for a “closed period” of disability. However, the Social Security Administration may review your claim at any time to determine whether or not your condition has improved and if you continue to meet the criteria for disability status. When you reach full retirement age, nothing will change, except for Social Security purposes; your benefits will be called retirement benefits instead of disability benefits. I am on early retirement because I was disabled. Can I apply for Social Security Disability benefits? Yes, you may apply for and receive full disability benefits. 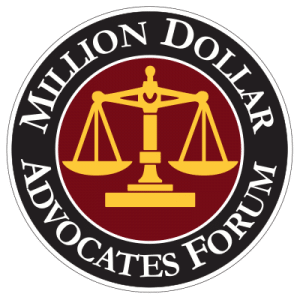 What attorney fees will I owe? As with other cases we handle, our fees are on a contingency basis. We don’t collect a fee unless we win. In the case of Social Security Disability, the Social Security Administration has capped fees at 25 percent of back benefits owed, up to a maximum of $6,000. How can I improve my Social Security Disability case? A Medical Expert Opinion Supporting Disability. Nothing helps your claim as much as having clear medical records and a good medical opinion, in writing, from your treating doctor(s) advising that you cannot work. Testimony from family, friends or relatives who have assisted you with daily activities and chores. Ongoing medical records showing continuing disability. Even if you have a chronic condition that you know the doctor cannot cure or improve, it is still beneficial to keep seeing the doctor and continuing to relay your pain, symptoms and problems because it documents your ongoing condition. The judge that oversees your case will want to see that these are ongoing problems, so continue to see a physician. Person as a whole. Social Security looks at you as a whole, so you don’t have to be considered disabled from one specific injury or illness. Instead, you can be considered disabled if the “combination of impairments” you have make it so that you cannot work. If you are depressed as a result of your condition, for example, then you should seek mental health treatment to document that condition.